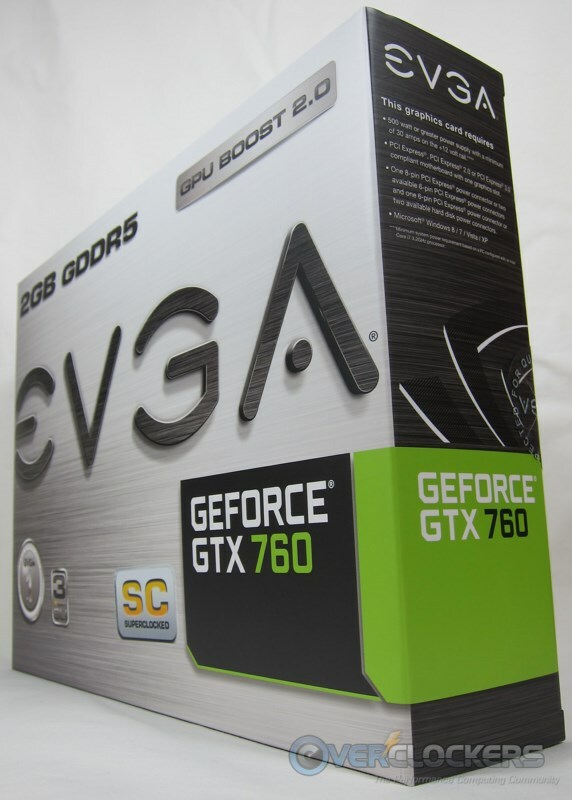 We’re in the midst of a GTX 760 blitz and up today is EVGA’s GTX 760 Superclocked (SC) with ACX Cooling (hereinafter mostly just EVGA GTX 760 SC), which comes in with the highest stock clocks of the GTX 760s we’re going to be reviewing. 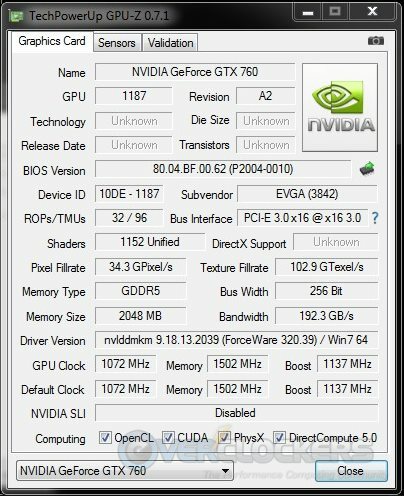 As you can see, there is a healthy overclock on the GPU, with a 92 MHz increase to the base frequency and a 104 MHz increase to the rated boost (which is actually quite a bit higher when the GPU is running, as you’ll see later). The memory stays at reference clocks. On paper it looks solid, let’s look at the real thing. 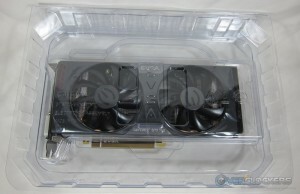 EVGA has changed their packaging from mid-range GPUs of last year, choosing to outfit them in form-fitting plastic rather than some bubble wrap inside cardboard. This is a positive change and eco friendly as well; you could recycle it if you choose to. Most video cards don’t come with much in the way of accessories, but the ones included with the GTX 760 SC are solid. You get the usual case badge, instructions and driver disc. There is even a pair of stickers if you’d like to use them. 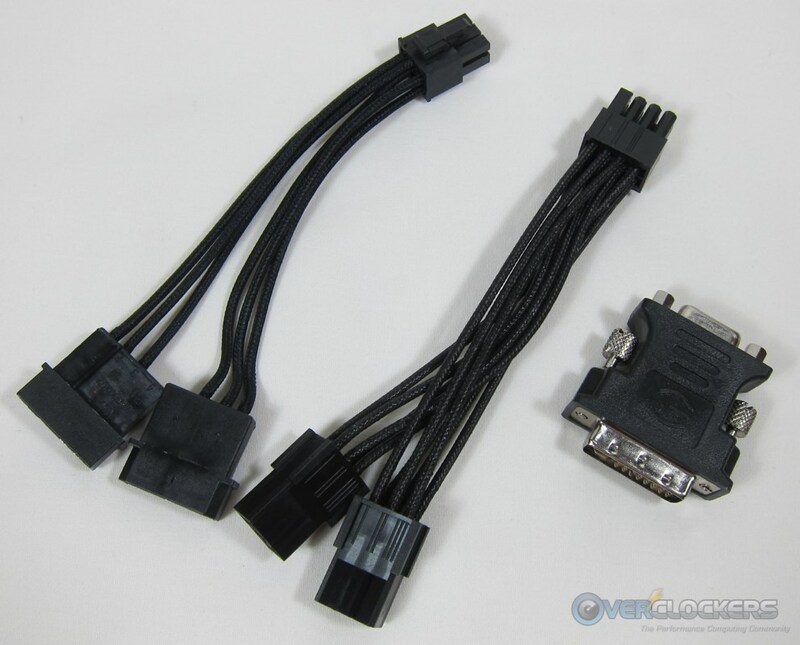 What impressed me was the power adapters – single-sleeved MOLEX-to-6-pin PCIe and MOLEX-to-8-pin PCIe adapters, so even folks that don’t have these power plugs on their PSU can enjoy some good looking wire management. In addition to those, you get a DVI-to-VGA adapter for those with older monitors. 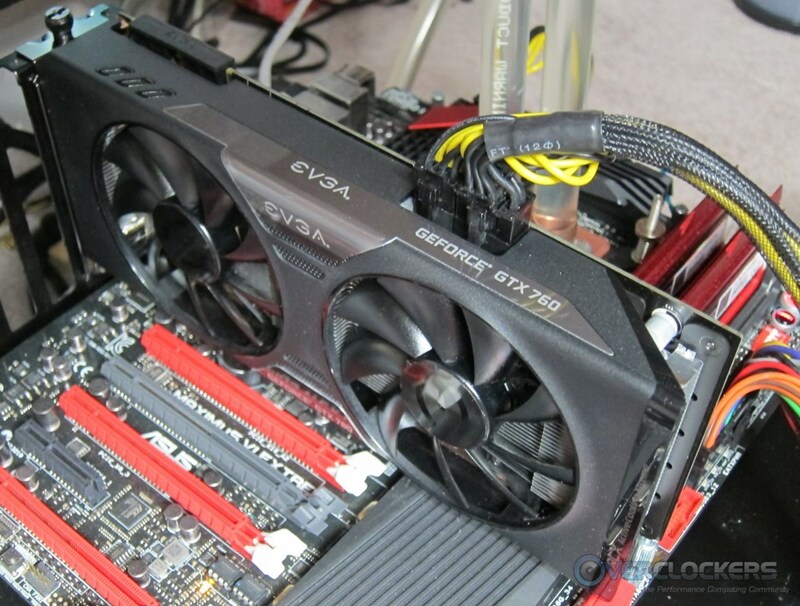 Now the main event – the EVGA GTX 760 SuperClocked in the flesh. It is a very good looking card. The shroud is plastic, but it’s a premium-looking plastic, with a matte finish over most of the area but touches of glossy black and silver to make it stand out. I’m definitely a fan of the look of their new ACX (Active Cooling Xtreme) cooler. 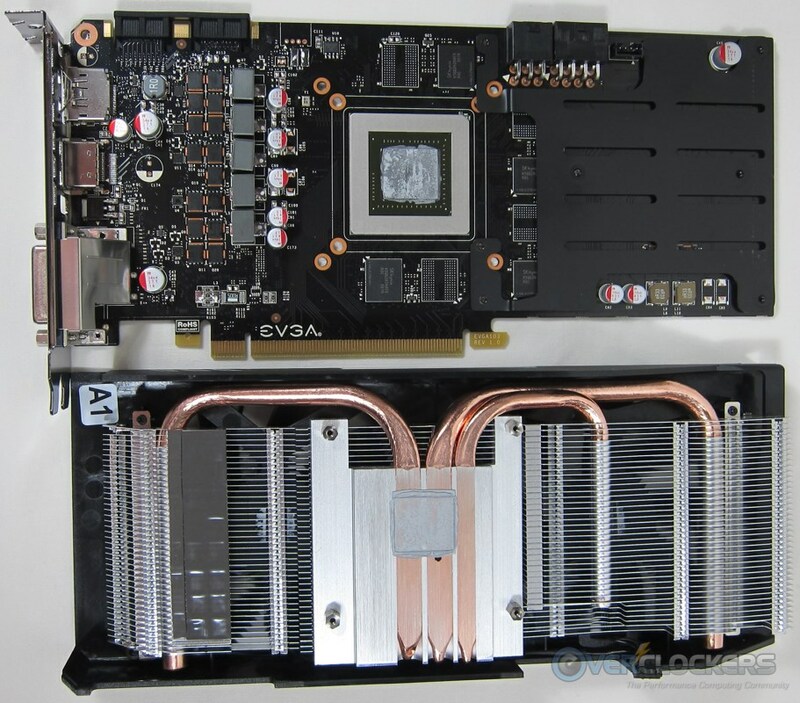 The back of the card is black PCB (unlike MSI’s, frankly, ugly brown PCB) and as you can see this model’s PCB extends the length of the cooler. I won’t blather my way through the rest of the card photos, but you can look through the slide show yourself. 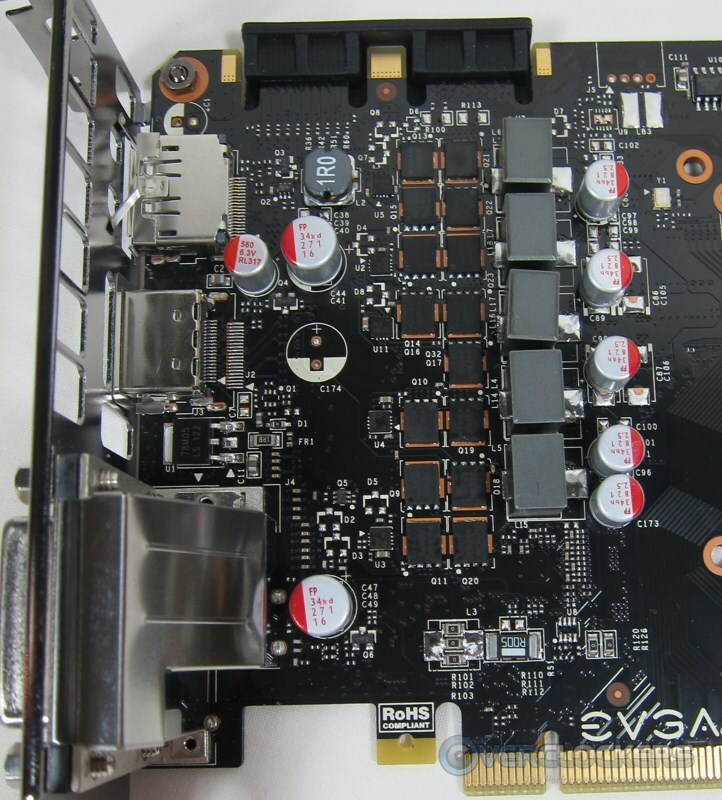 The GTX 760 is capable of three-way SLI and here are the SLI connectors to prove it. 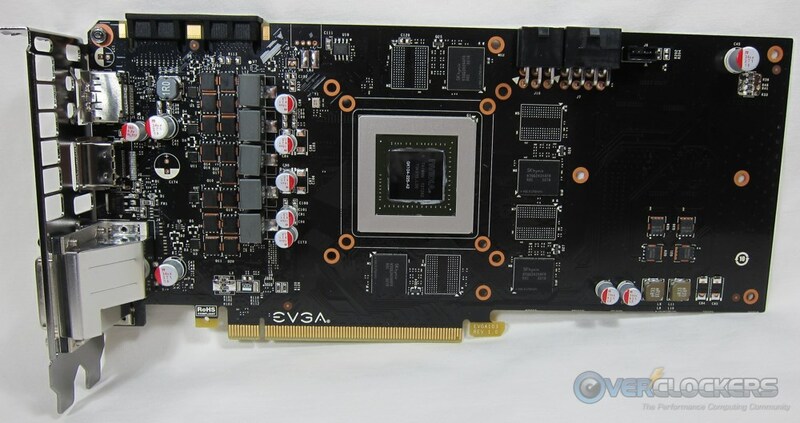 Unlike some GTX 760’s, the EVGA offering comes with two power plugs – one 8-pin PCIe and one 6-pin PCIe. 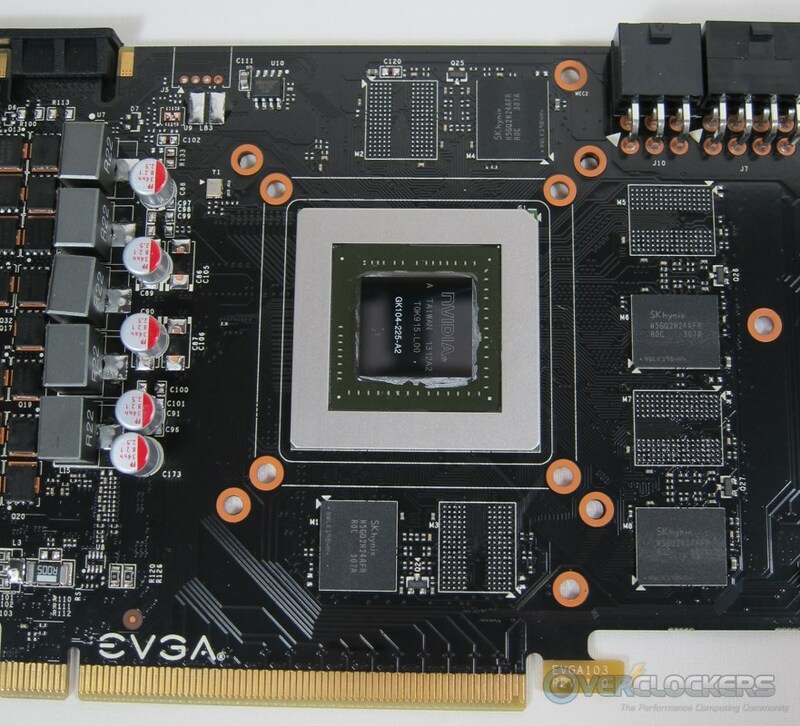 This card doesn’t have a massive TDP, but if it calls for extra power, it will definitely be available. The video outputs are standard NVIDIA fare for this generation – two Dual Link DVI, an HDMI and a full size DisplayPort output. So far so good – a great looking card on the outside. Let’s take that cooler off and have a look at the card itself. 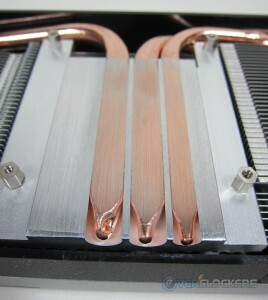 Pulling the cooler off, you can see the meat of this three-heatpipe cooler. There is additional “cooling” (in quotes because it doesn’t seem to touch much) in the form of a metal plate on the rear third of the card. Unfortunately the heatpipes don’t all make contact with the GPU. 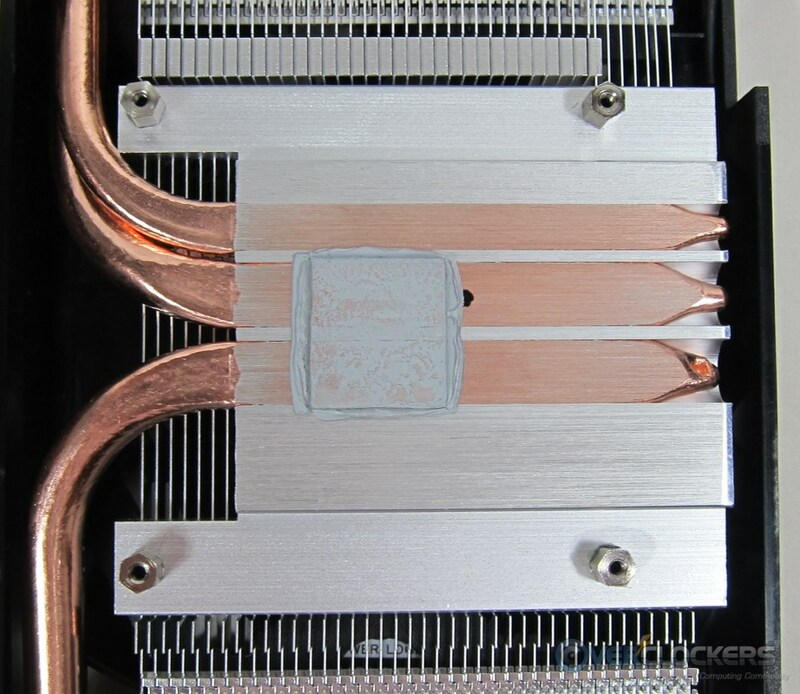 In theory the surrounding aluminum will transfer some of that heat to the third heatpipe, but direct-contact coolers like this benefit from the heatpipes, well, directly contacting the GPU. The larger two heatpipes definitely are spot on, so maybe this was intentional anyway. Here’s that not-a-heatsink ‘heatsink’ up close. Once that is removed and the TIM cleaned off, we have a nice looking cooler & card. The finish on the heatsink is nice and smooth. It’s not a mirror finish, but you don’t necessarily want that anyway; you want something for the TIM to use for heat transfer and those machine marks are the perfect thing. 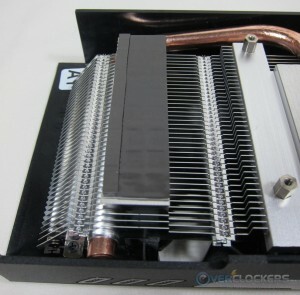 The cooler makes contact with all the GPU power section’s MOSFETs and contact was good throughout. Here are a few more photos. Love these handy-dandy galleries! 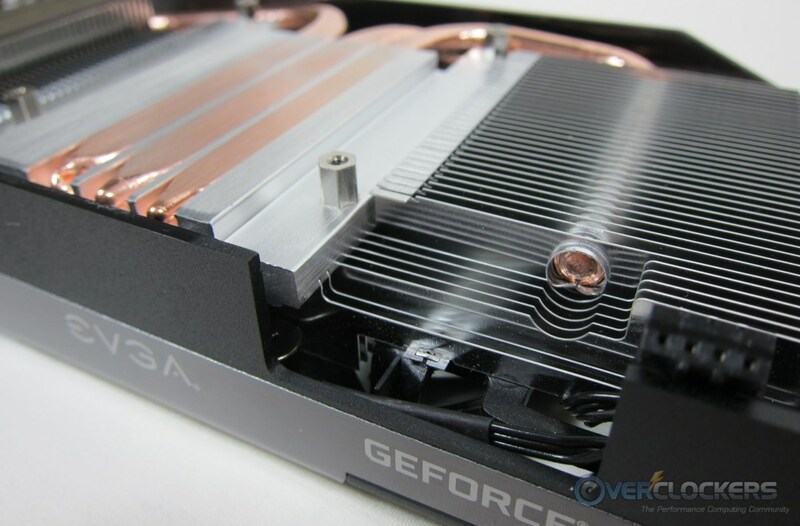 One more comment about the cooler – its fins vary in thickness all over the place. Some places, like in this photo, are thin, while others are quite thick. It’s all in the name of making the cooler low profile while offering all the cooling they can fit into it. Ahh, now we move on to the GPU itself. That far right picture is very interesting. The PCB extends the length of the cooler, but it really isn’t used for much. The vDDR power phases are over there, but that seems to be about it. 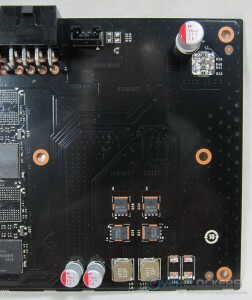 Even the power plugs are toward the GPU, right where they would be on a reference card. The 2 GB of memory is evenly distributed on the front and the back of the card. Here’s that semi-bare PCB section up close. On the bottom reside the two vDDR power phases. Moving forward you can see the GPU and front memory section. 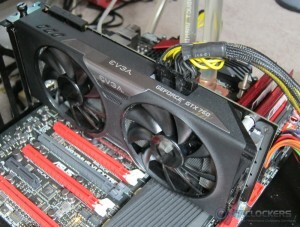 EVGA has gone with a five-phase GPU power section in addition to the two smaller memory power phases you saw earlier. 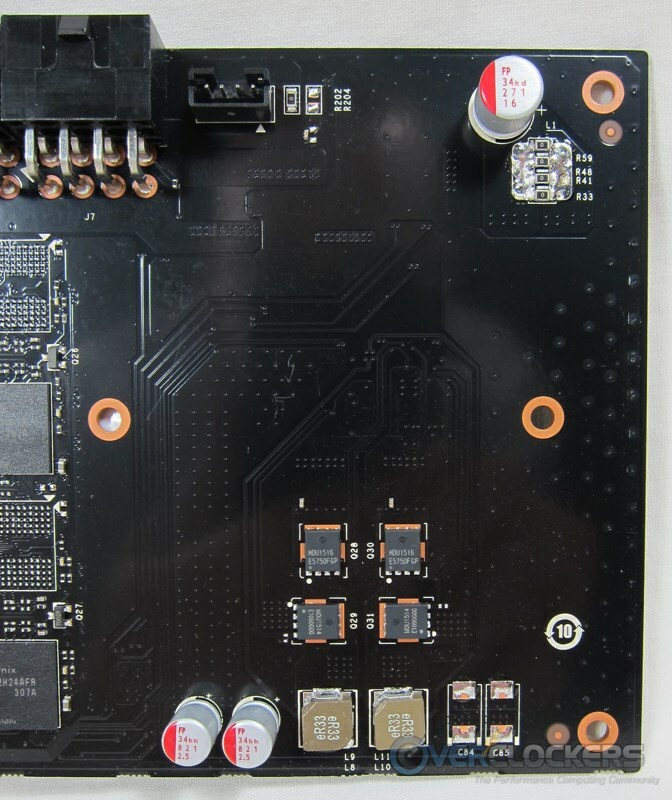 The memory comes to the GTX 760 SC courtesy SK hynix. 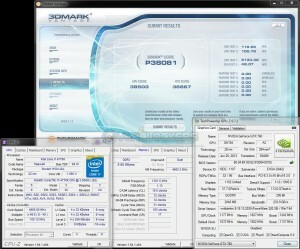 It is their H5GQ2H24AFR 1.5V GDDR5 memory operating at a speedy 1502 MHz. 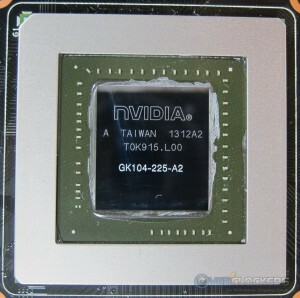 Last, but not least is the GK 104 GPU itself. The GTX 760 SC is a good looking GPU, inside and out. 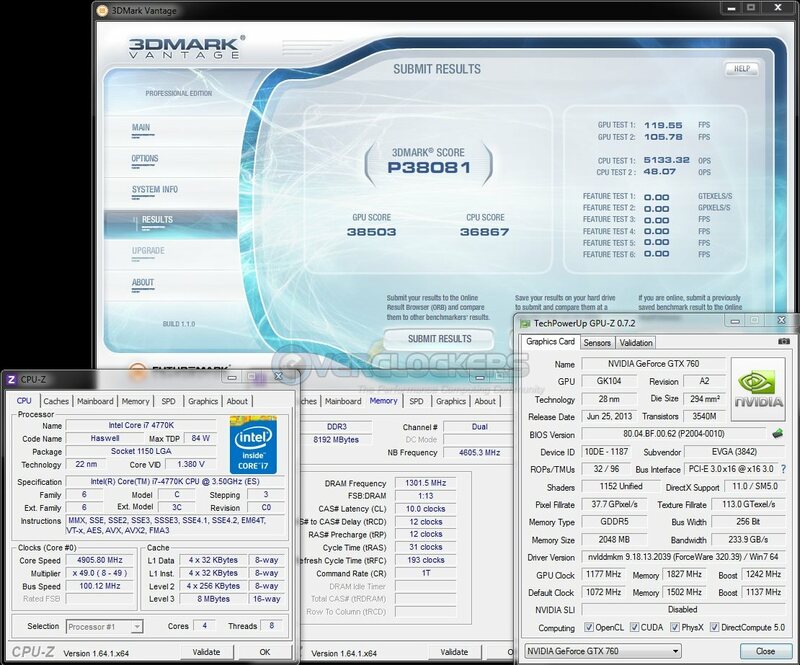 Our test setup has changed to the newest mainstream Intel platform and consists of a Haswell CPU (i7 4770K) running at 4.0 GHz with memory running at DDR3-1866 / 9-9-9-24. 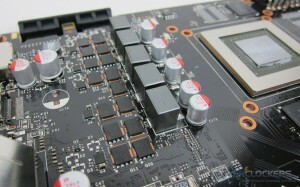 Installed on an ATX motherboard, the GTX 760 SC just reaches the edge of the board. Some GTX 760s (especially reference, if you can find any) will not quite make it to the edge of an ATX board, making some of the offerings better for LAN box / SFF / HTPC use. Now that we’ve got it installed, let’s power up and see what happens! 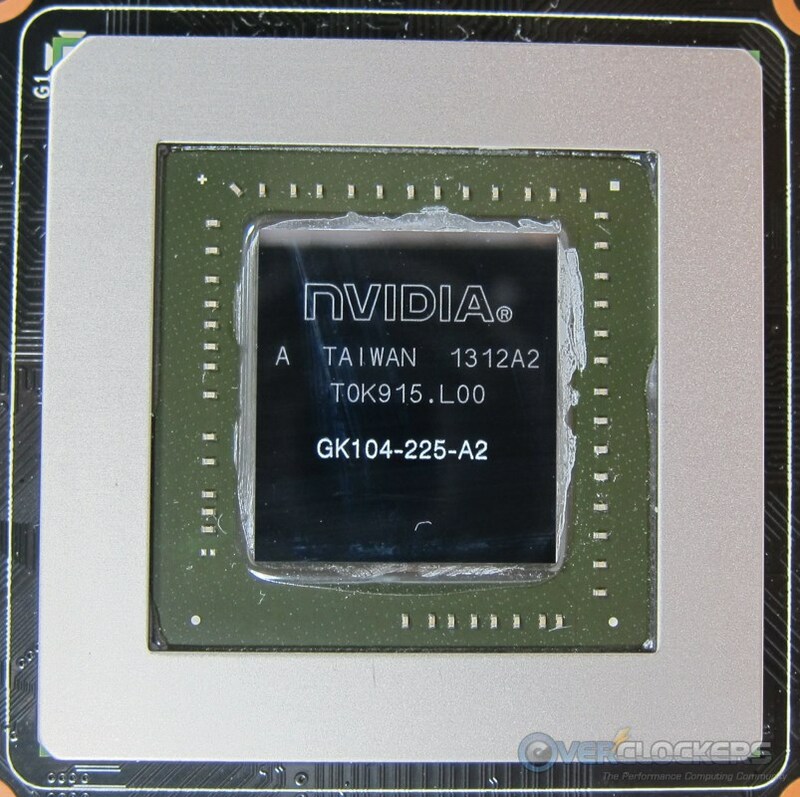 Rated at 1137 MHz base boost, like most NVIDIA cards, this card boosts higher than that in real use. 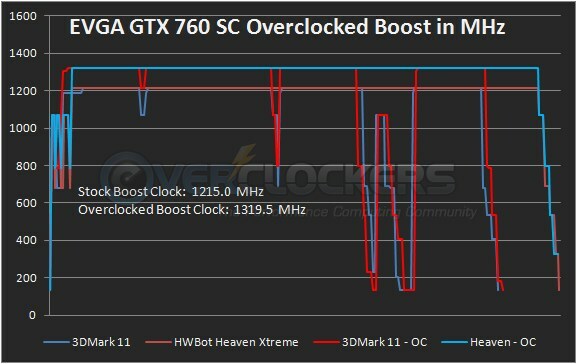 In the GTX 760 SC’s case, the actual boost clock is 1215 MHz. The ACX cooler is strong enough -even at the stock BIOS fan profile- to keep it away from the temperature target. So, barring quite high ambient temperatures (mine was around to 25 °C, which isn’t cold), you will probably see a consistent boost frequency just like this. 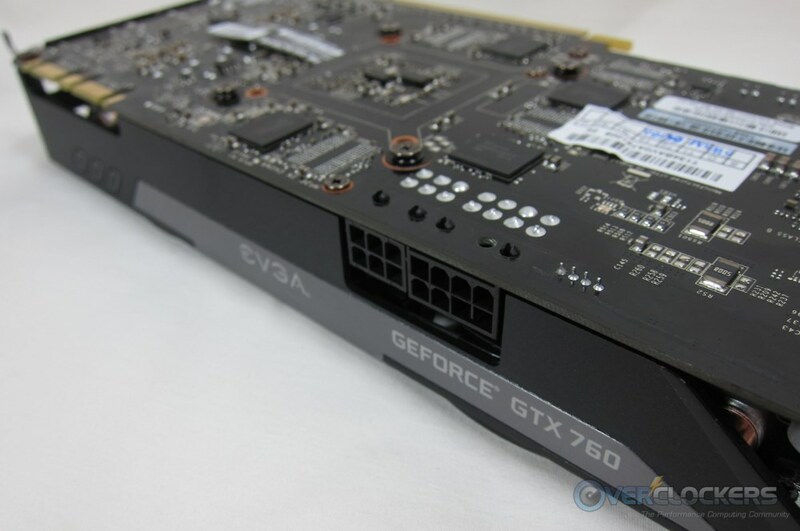 Voltage control isn’t quite nonexistent on the GTX 760, but it’s close. You get 0.012 V to play with. 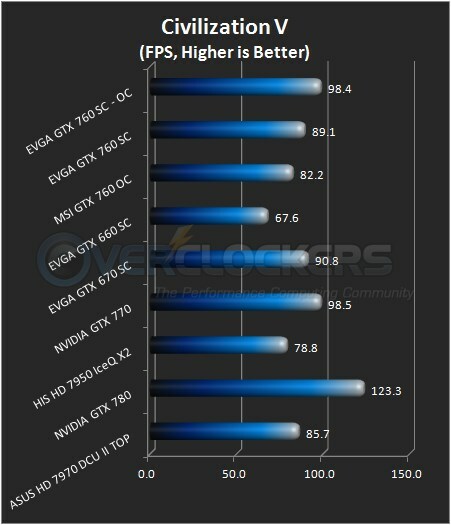 Even so, overclocking was very solid on this card. 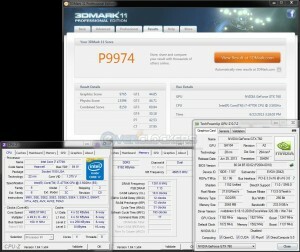 With 24/7 stability, the GPU added 100 MHz and the ever-strong Hynix memory went up 550 MHz (225 MHz actual). After the overclock, the boost went up to an impressive 1319.5 MHz. 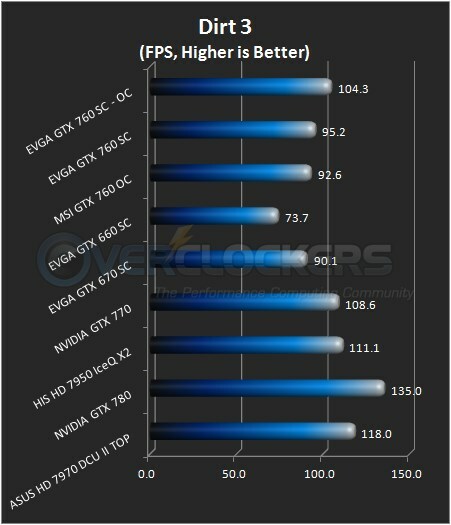 The fan speed was a bit more aggressive when the card was overclocked but the fans were still very quiet. It kept the temperature far away from the increased 94 °C temperature target (about 70 °C max in Heaven). 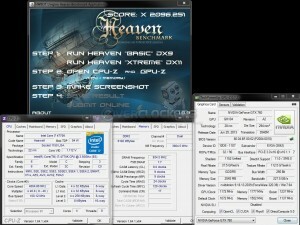 Overclocking results impressed me, coming in at just over 100 MHz above the actual stock boost. Of course, all benchmarks and games must pass for an overclock to be considered 24/7 stable, but here’s a representative run of HWBot Heaven Xtreme at the 24/7 overclocked settings. It is with apologies that I present these in chart form rather than in graphs. Our different test systems are great for testing performance, but not so much for power consumption and temperature; there are too many variables to share this data. Thus, the graphs will come in the next (and future) reviews. 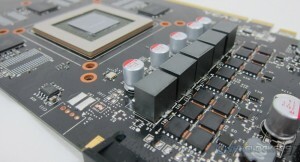 As far as this card goes, its power consumption is solid for the performance it gives. The Haswell platform’s efficiency plus the GTX 760 SC’s low idle frequencies (135 MHz on the GPU) help lead to a very low 82 W idle power consumption. Loaded maximums are right at 260 W, with average loads in the 148-152 W range. Temperatures were great, especially considering that the GPU is attempting to keep itself right at 70 °C using Boost 2.0’s temperature target. It couldn’t even make it up there during Heaven. Given more prolonged testing, I’m sure it would have made it to that point, but a small bump in fan speed via PrecisionX would knock it right down. 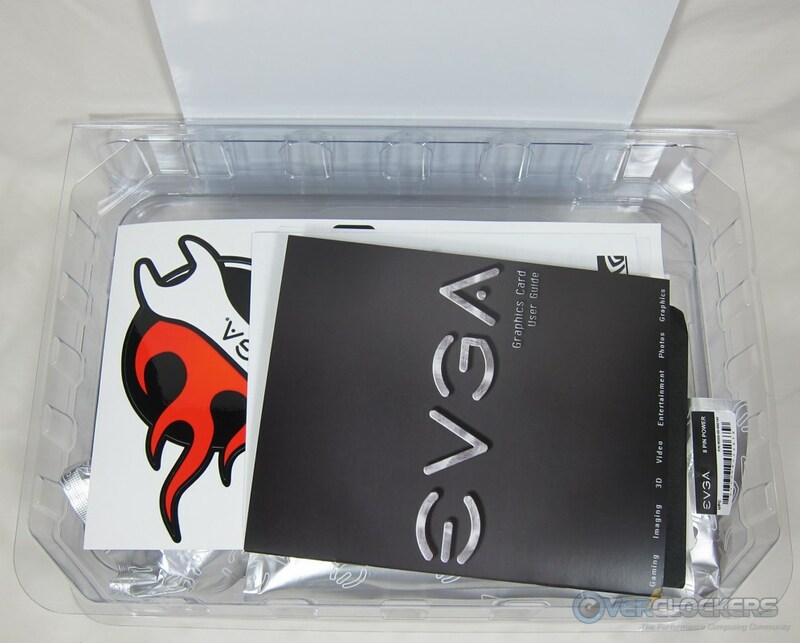 For cooling so well on the default fan profile in the card’s BIOS, EVGA’s ACX cooling system is really impressive. Add to that the fact that overclocked as far as the card would go with a more aggressive fan profile it still didn’t go above 71 °C in heaven, you’ve got a winning cooler here. What’s more, the icing on the cake is that this thing is extremely quiet. There is a whisper of air when the fans spin up, but that’s about it. On the water loop cooling the CPU on this test system reside three ultra high speed Panaflo fans, under-volted to about 6.5-7 V. Those fans, running about as slow as they can without cutting off, were louder than the ACX cooler on this card when it spun up. Our CPU & chipsets may have changed, but the testing method remains the same. 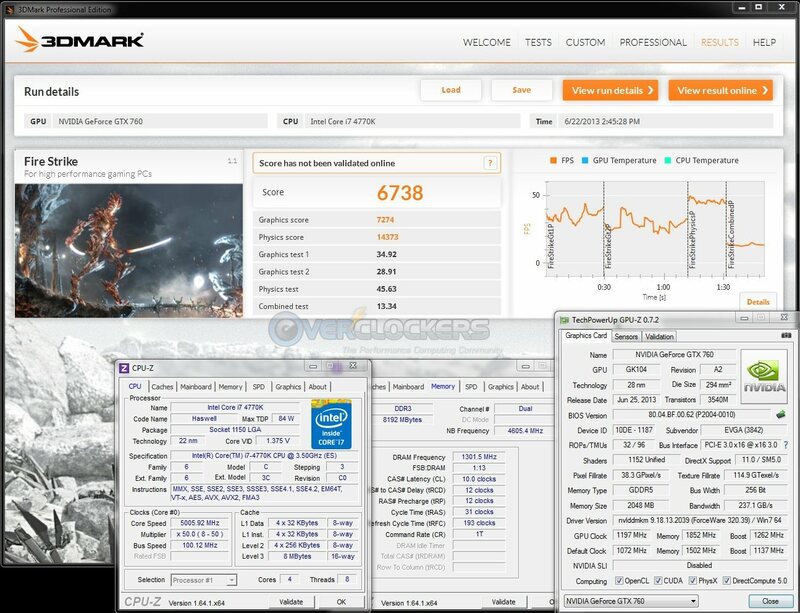 We’ll be updating our testing methodology article in a bit, but all the testing is still applicable, with the addition of 3DMark Fire Strike. We’re probably ditching 3DMark03 for good too; I’m tired of writing “this is old” disclaimer! To make a long testing story short – benchmarks are run at their default presets and games are run at 1080p with all the eye candy cranked to the max. 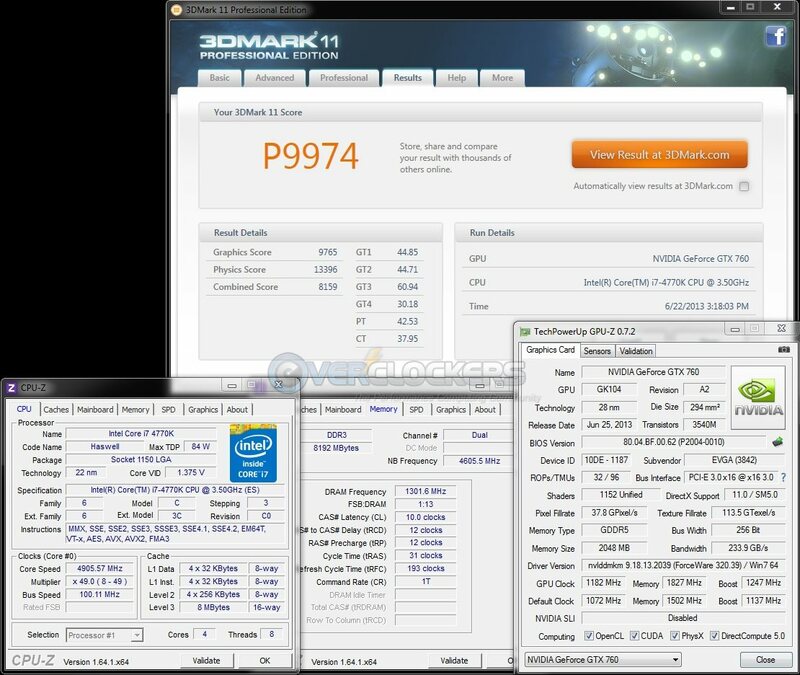 Starting off with 3DMark03 (old, irrelevant, only useful for benchmarkers that enjoy running it for old times’ sake), you can see the GTX 760 SC surrounding last generation’s GTX 670 SC. 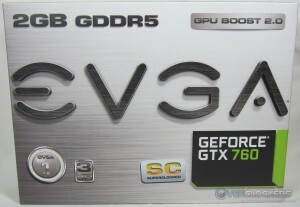 Thanks to its higher stock base & boost clocks, this EVGA offering is also scoring better than the MSI GTX 760 OC. 3DMark Vantage is looking good too. 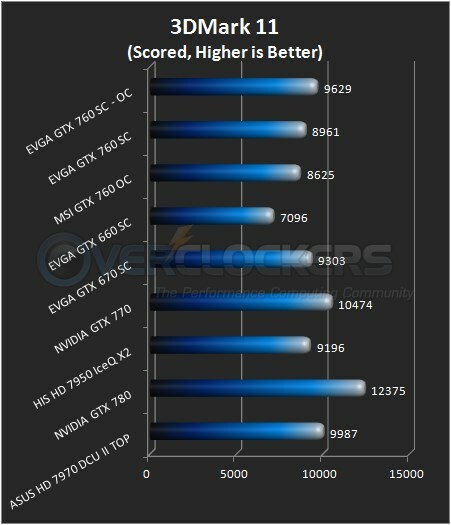 Perhaps we’re seeing a trend here – the GTX 760 SC at stock is just below last year’s GTX 670 SC and, overclocked, it’s just above it. 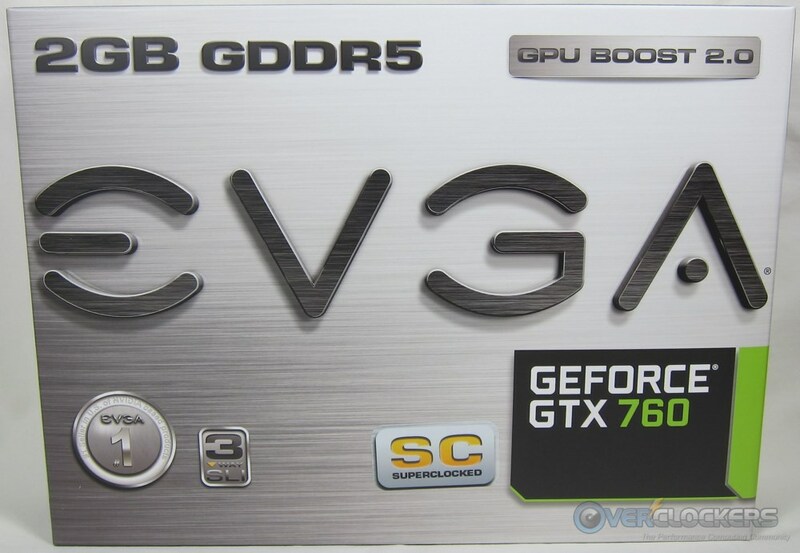 When overclocked, this card is even putting up numbers near the reference GTX 770. I think we can all see the trend here. It was quite surprising to see how close this card came to 10,000 in 3DMark 11. When overclocked, it’s giving the HD 7950 IceQ X2 a run for the money. 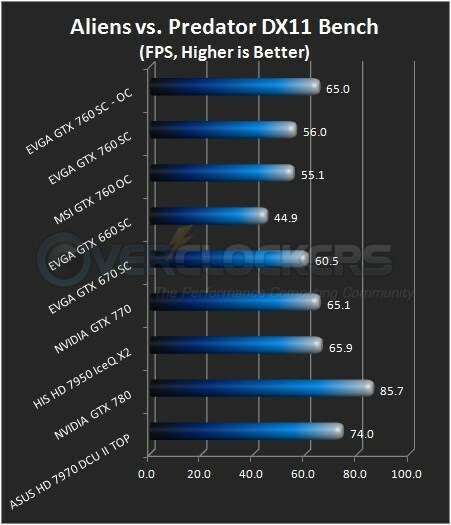 This is making me feel slightly bad for new GTX 670 owners. It wasn’t a bad purchasing decision mind you, but these just made that performance a whole lot cheaper. More of the same here. 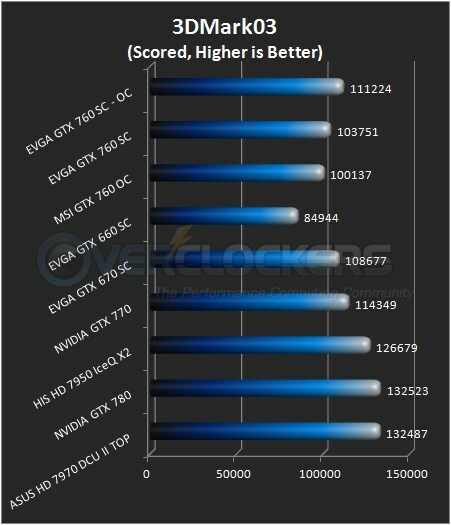 Interestingly the stock HD 7950 IceQ X2 just barely beat the stock GTX 760 SC (and then got trounced when the latter was overclocked). Synthetic testing is looking pretty solid, let’s put it to some real world use. 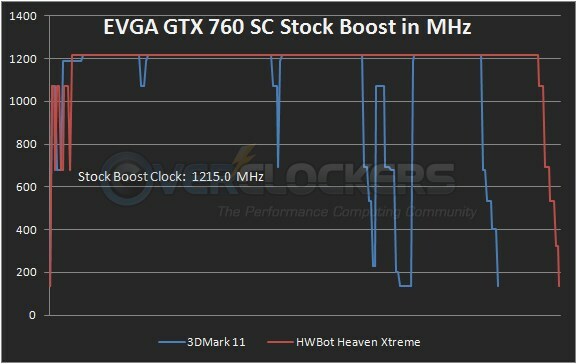 The trend continues vs. the GTX 670 SC, with its stock performance precisely half way between the stock & overclocked GTX 760 SC. 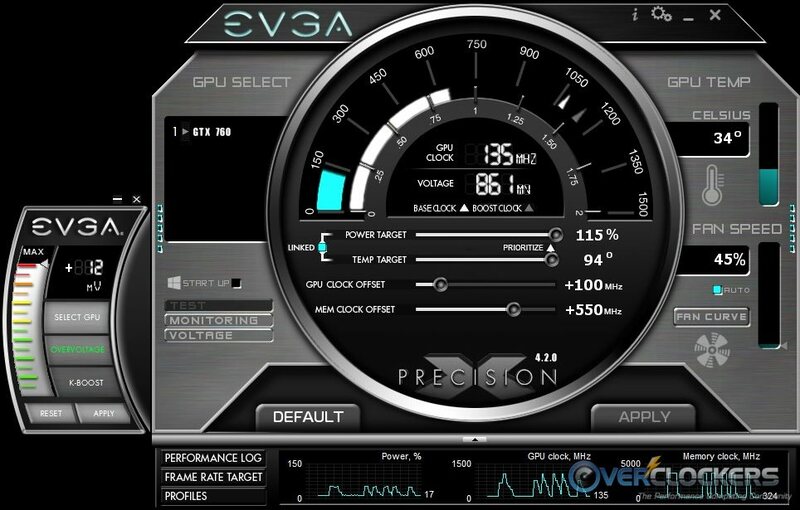 Heck, overclocked, this GPU is only .1 FPS away from the reference GTX 770. 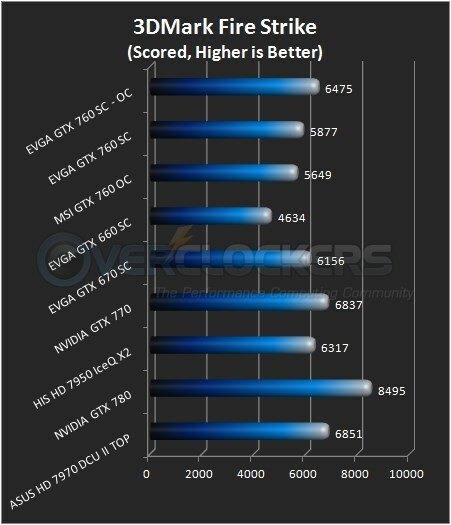 Wow, overclocked in Batman, the GTX 760 SC actually overtakes the reference GTX 770. That’s a solid $150 savings! 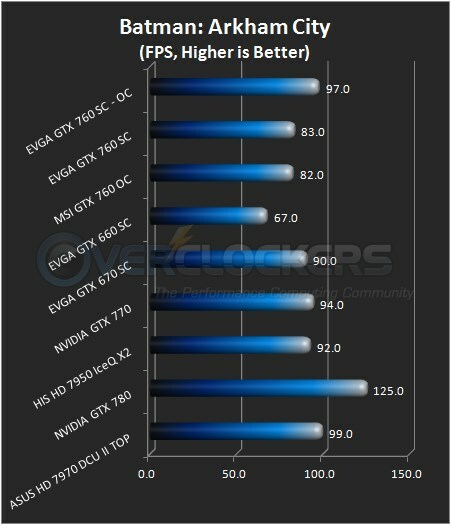 Battlefield 3 sort-of puts the GTX 760 SC back in its proper place in the pecking order, with the stock GTX 770 slightly outpacing the overclocked GTX 760 SC. Out-performing the GTX 670 SC still remains constant and it also beats out the HD 7950 IceQ X2. Kepler continues to compute its way to dominance in Civilization V. The GTX 760 SC couldn’t quite reach reference GTX 770 levels here. 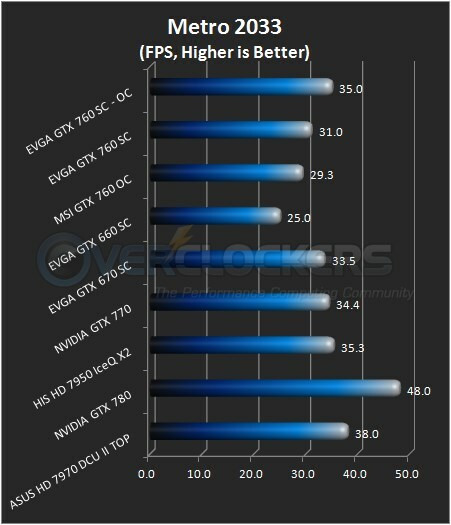 Interestingly, the stock GTX 760 SC takes out the GTX 670 SC, with overclocking just making it stronger. 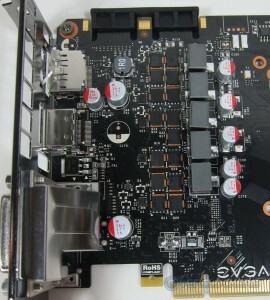 Interestingly, so far we’re seeing a trend of about 10 FPS from stock-to-overclocked with this card. That’s a very healthy gain in anybody’s book. Metro is our most difficult benchmark (except for one more that only I am testing) and it shows. While it’s not a young game, it sure does hammer on a GPU. 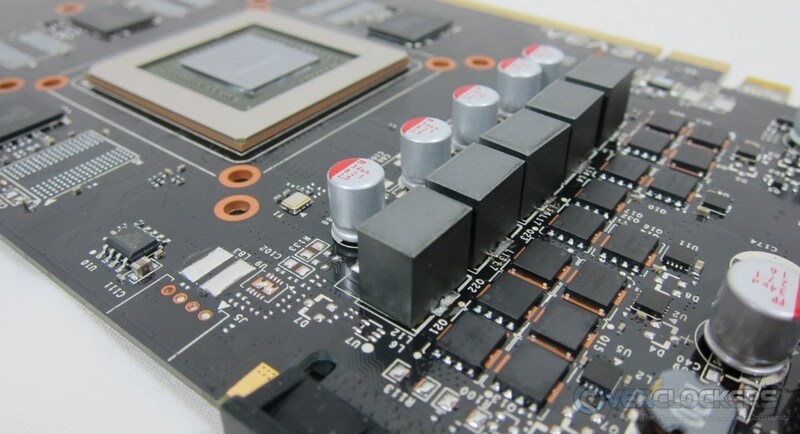 Impressively, the overclocked GTX 760 SC just edges out the reference GTX 770. Last, but not least, is a game only I am running for us. While the entire group may not have copies, I still think it’s valuable to include because of how much it hammers on cards. You think Metro is bad? You haven’t seen Crysis 3. 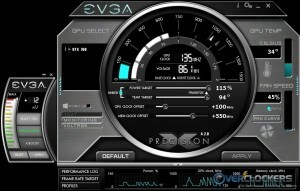 “..but can it run Crysis?” is back, in a big way. 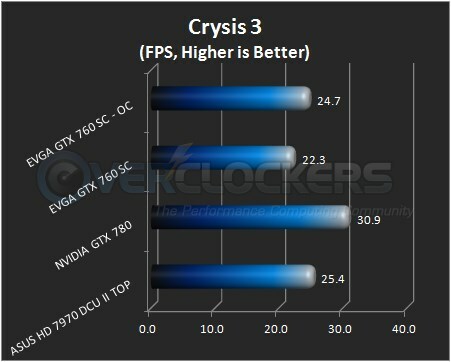 The GTX 760 SC most definitely can run Crysis 3, and when overclocked it can do it just a smidgen better than a 1000 MHz HD 7970. What’s impressive about this GPU is that it can overclock well enough to replace a step up from what it’s supposed to be replacing. 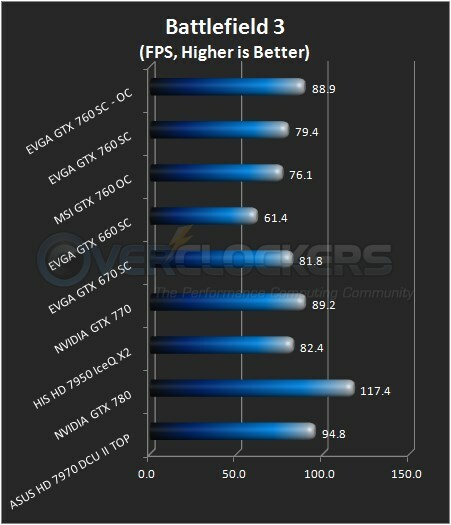 Overclocked, it’s putting out numbers more comparable to the GTX 670 SC than the GTX 660 Ti. That stands to reason, since it’s pulled from the GTX 670 GK104 configuration, but it still feels impressive. 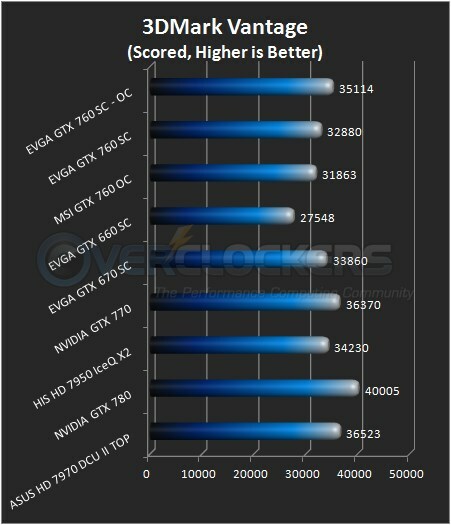 For its price point, the GTX 760 SC is putting out some impressive benchmark numbers. For this section, the CPU was cranked to 4.9 or 5.0 GHz (depending on the bench) and the GPU pushed as far as it would go, stability be damned. Obviously these results are not stable at all for 24/7 use, but we’re talking GPU speeds up to +125 MHz and vRAM speeds at +700 MHz (+350 MHz actual). Those are very solid numbers from what amounts to a mainstream-priced card. To get a card at this price point within spitting distance of 10000 in 3DMark 11 is very solid indeed. Let’s start this section off with price. 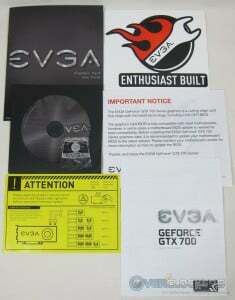 The reference MSRP for a GTX 760 is $249. 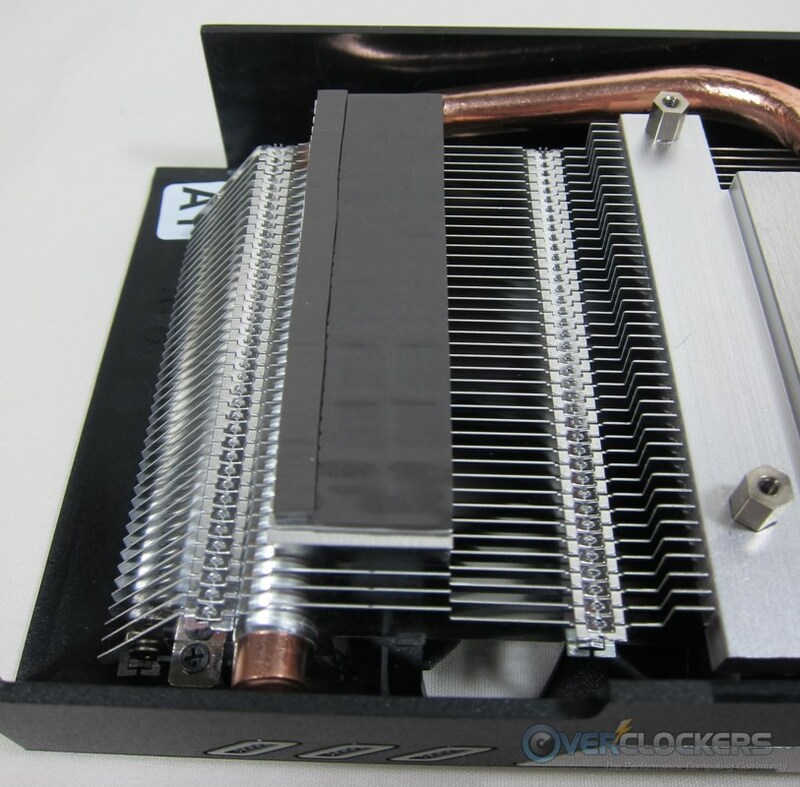 Obviously, this card is pretty solidly overclocked (running 1215 MHz boost at stock) and has a great upgraded cooler to boot, so it will be a little more expensive. How much more? $10. That’s right, only ten bucks more. 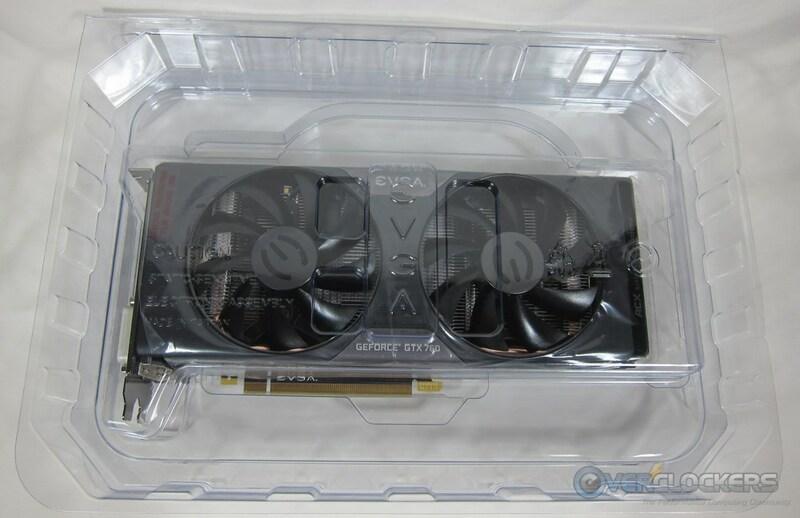 The EVGA GTX 760 SuperClocked (SC) retails for $259.99. While I wouldn’t necessarily recommend the GTX 760 for a 1440p or multi-monitor setup due to its 2 GB frame buffer, the fact is that it will do a great job for anyone running the most popular resolution today – 1080p. Monitors at that resolution are cheap and plentiful and at that resolution, this card will run most games (except the most demanding, like Metro 2033 and Crysis 3) at full eye candy without issue. If you’re interested in higher resolutions, there will be GTX 760s available with a 4 GB frame buffer for ~$50 more down the road, but with the increased bus width on the HD 7950 and performance at or above the GTX 760’s level, I would still go the HD 7950 route for the same money. 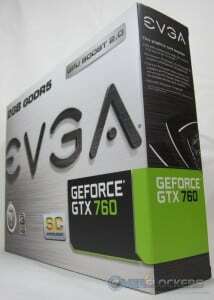 At $259.99 though, if you want to game at 1080p the EVGA GTX 760 SC is very tough to beat. With its solid stock clocks, impressive overclocking results and a great cooler to boot, this card is the perfect fit for its market segment and is easily Overclockers Approved. 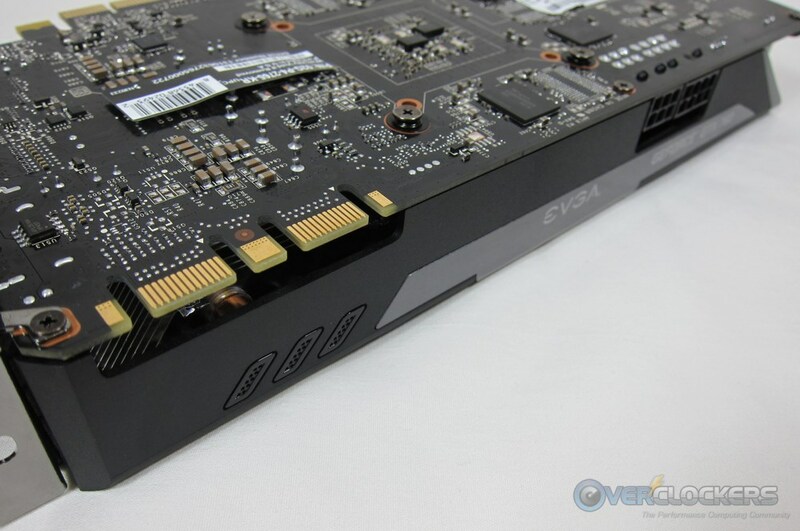 EVGA now has backplates available for this card, though the black PCB doesn't look bad by itself either. I'm going to GUESS 90 or 100mm... They look to be about the same size as the MSI (which was 100mm IIRC). That's a very good question, it's not listed anywhere in the pdf specs or anywhere else I can find. My guess is 100mm. I'll measure them and report back. They're very quiet, even at higher speeds. I'm new to this site and have just finished my first high-end build. I'm a proficient tech but high-end gaming is new to me. 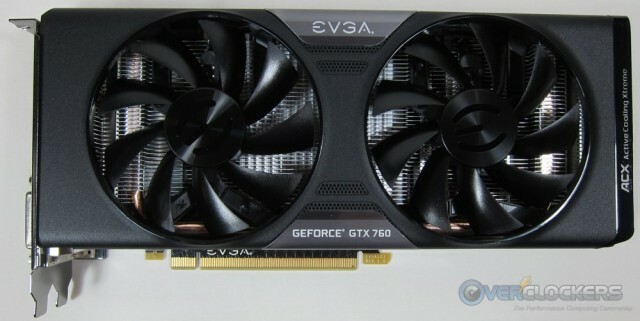 My concern is that my EVGA GTX 760 SC is running too hot compared to everything I'm seeing from its reviews online. With stock settings and ambient temp around 30C, under load, the card always reaches the temp target. What am I doing wrong? the following excerpt from your review suggests this shouldn't be the case. "The ACX cooler is strong enough -even at the stock BIOS fan profile- to keep it away from the temperature target. So, barring quite high ambient temperatures (mine was around to 25 °C, which isn’t cold), you will probably see a consistent boost frequency just like this." I would guess the airflow in your case is not sufficient and it is causing your card to get to hot. Maybe you can speak to my fan config and hydro cooler setup? I have 5 140mm fans in the case. Two in the front pulling in. One in the rear pulling in. And two on top pulling out through the rad. Do you suppose the rad may be getting in the way of allowing it to expel the heat properly? Should I do a push pull config and order two more 140mm fans for the underside of the rad? I just took a look at your case and it sounds like you have air coming & going out in the upper half of your case but the air down by the GFX card is totally stagnant and that could be why the video card is getting so hot. Especially since the ACX cooler does not expel air out of the case, it just blows air all around the card. As an experiment, remove all the PCI slot covers and if you have a spare case fan temporarily attach to the outside of the PCI slot area so it is pulling that hot stagnant air out of the lower portion of your case. 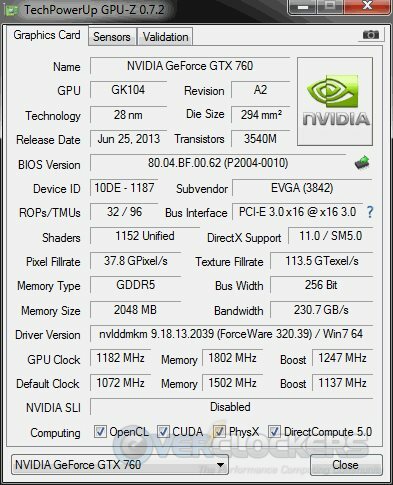 Then load up whatever application you are using that has been getting the gfx card so hot see what direction the temps change. Thanks for the advice. I'm currently waiting for 3 molex to 3 pin fan adapters to arrive because I don't have enough headers on my board to support anymore fans. I will definitely try your suggestion when I'm able. Just as a side note, I've re-timmed the card but to no avail.